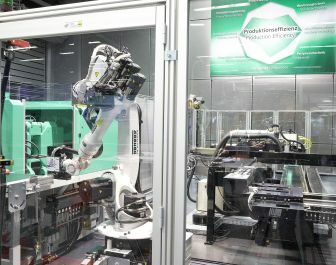 At the forthcoming Fakuma 2012, Arburg will present new process integration and product design technology that include Particle-foam Composite Injection Molding (PCIM), long-fiber direct injection molding and inline printing. “In order to recognize and exploit the full potential for in-creasing production efficiency, it is important to consider the entire value-added chain,” emphasized Michael Hehl, Managing Partner and Spokesperson for the Arburg Management Team. “That is why we are not only presenting a representative cross-section of our range of products and applications at the Fakuma, but also emphasizing the advantages of each exhibit in terms of production efficiency.” PCIM is a joint project with Krallmann and Ruch Novaplast in which a foamed part is combined with plastic for the first time. The two components are bonded, so that there is no need for subsequent assembly steps and a finished part is produced in a single step. Arburg says this production of composite components made from particle foam and injection molded plastic could open up a whole field of new options for the electric mobility, lightweight construction and insulation sectors. With regard to increased efficiency, the new long-fiber direct injection molding process developed together with German Plastics Center SKZ, allows inline feeding and enables longer fibers than ever before to be processed, so that lightweight injection molded parts with thin walls and high strength can be produced. A further example of how production efficiency is being enhanced through product design and process integration is the production cell with inline printing system. This so-called Inkbot process from FPT Robotik combines digital printing and robotics and enables parts with irregular geometries and curves to be printed. This means that customized injection molded parts can be produced fully automatically in a single step.